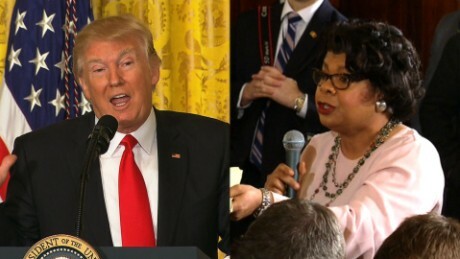 This has been a strange week for American Urban Radio Network reporter April Ryan. Earlier this week Omarosa Manigault tried to physically intimidate her and threaten her with a dossier the Trump administration supposedly has on her. If that wasn't strange enough then Donald Trump while responding to a question from Ryan about the Congressional Black Caucus ask her is she knew them and if she could set up a meeting with the CBC. Watch that strange exchange below.